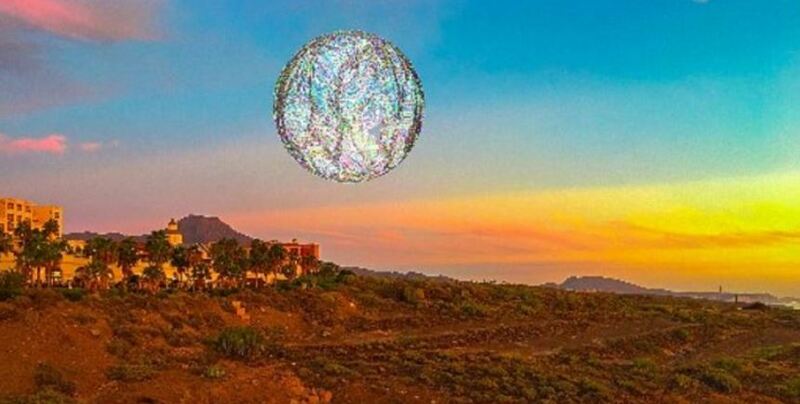 On the evening of 22nd June 1976, residents of the Canary Islands (Tenerife, La Palma, and La Gomera) would see and report bizarre lights in the sky overhead. The reports were likely in their hundreds, although newspaper headlines the following day suggested “thousands of people” had seen the bizarre display. The lights themselves performed maneuvers that known aircraft were simply not capable of. And furthermore, these movements were not of any known natural object. Perhaps the most intriguing reports, however, were those that claimed to have witnessed “aliens” within the strange crafts. The Spanish Air Force would investigate the sightings and would send a basic report to journalist, J. J. Benitez. While Benitez would conduct his own extensive research, it wasn’t until the aforementioned releasing of military files in 1994 on the case that the full picture was available. It would seem the Spanish naval vessel, the Atrevida, had been the first to raise the alarm of the strange lights. They would send a report from their position at 9:27 pm. They would state that “an intense yellowish-bluish light “was heading in their direction from the shore. It would suddenly become “stationary” before a “luminous beam from it began to rotate”. After two minutes the beam disappeared and, in its place, “an intense great halo of yellowish-bluish light developed”. The object remained there for forty-minutes in full view of the entire crew. The naval report continues that “the light split into two parts” two minutes after the “great halo” first appeared. The smallest part would move to beneath the halo while the larger part would “climb in a spiral, rapid and irregular” way before vanishing. All the while, the halo, remained in place. Several minutes after this detailed account from the Atrevida, came sightings from civilians. And these reports came from all parts of the islands’ society, including “professionals” such as doctors and teachers, which, rightly or wrongly, always lends credence to such reports. With no military or civilian aircraft airborne that evening, there should have been nothing in the sky. And even if a “private flyer” had made their way up unbeknown, they surely couldn’t be in possession of such a phenomenally futuristic craft. The reports from residents began to separate themselves into two groups. There was the large object of intense yellow-blue light as seen by the crew of the Atrevida. And there were the sightings of the smaller, sphere-like object – which housed several alien entities. If these seemingly outlandish sightings of extraterrestrial-navigated orbs had come from one or two of the populace, then the military General who commissioned the investigation could have put them down to overactive imaginations. They didn’t, however. They came from multiple people, with the same descriptions and details. Several of them offer detail so precise they stand out from the others. NOTE: The above image is CGI. This entry was posted in ABDUCTION, best ufo photos, incredible ufo photos, MISSING TIME, top ufo news, UFO, UFO ARTICLES, ufo news, ufo photos, Uncategorized and tagged 1976 CANARY ISLANDS UFO, 6-22-76 CANARY ISLANDS UFO, ABDUCTION, ALIEN CRAFT, ALIEN CRAFT LANDING, ALIEN CRAFT PHOTO, ALIEN ENTITY, ALIEN IMAGE, ALIEN IMPLANTS, ALIEN PHOTO, ALIEN PICTURE, AMAZING UFO PHOTO, BEST UFO PHOTO, best ufo photos, CAMERA CAPTURE UFO, CIRCLE LIGHTS UFO, close encounter, CLOSE ENCOUNTER UFO PHOTO, DISC, FLYING SAUCER, HIGH STRANGENESS, incredible ufo photos, JUNE 22, KEN PFEIFER MARS DISCOVERIES, KEN PFEIFER UFOLOGIST, light photo, MISSING TIME, saucer, top ufo news, ufo, UFO ARTICLES, UFO LANDINGS, ufo news, ufo photos, UFO PICTURES. UFO IMAGES by KEN PFEIFER. Bookmark the permalink.